Make this Spring a special one. 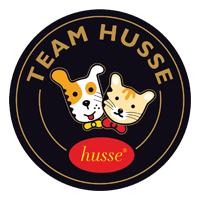 Owning a Husse Franchise, selling and home-delivering our superb range of Swedish pet food and accessories, is just that li le bit differe nt. Working from your home, you get to meet great people and great pets. With our franchise fees star ng at just €6,000 plus VAT, you won’t have to break into the vault to get started.